For decades, Wrangler has created the finest in western styles, contemporary fashions, and workwear. These Wrangler Riggs Men's Vintage Indigo 3W320 VI Denim Carpenter Shorts follow in that same tradition, without the extra length. These short pants have a 10 1/ ... (see full details) (see specifications) #WRG3W320VI. 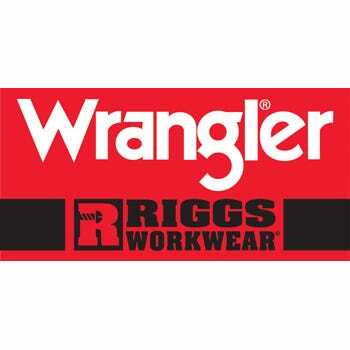 For decades, Wrangler has created the finest in western styles, contemporary fashions, and workwear. These Wrangler Riggs Men's Vintage Indigo 3W320 VI Denim Carpenter Shorts follow in that same tradition, without the extra length. These short pants have a 10 1/2-inch inseam, the perfect length to keep you cool during hot work days. Made with heavyweight 14.5-ounce 100% cotton Durashield® denim, these work pants are tough and soft, durable and comfortable. Natural cotton is airy, breathable against the skin, and the fibers in Durashield® denim are made to move during wear and washing, so they resist abrasion and retain color. Put it all together and the result is durable, machine-washable jean shorts that look and feel fantastic. Triple-needle stitching construction, a #5 YKK brass zipper, and generous 3/4-inch X 2 1/4-inch belt loops that stand up to a work belt add to the work-ready durability. Designed with a Room2Move® fit these relaxed-fit men's shorts are made to move with your body, not against it. The action gusset adds extra fabric at the crotch for added freedom of movement. You'll love the improved fit in the seat and thigh. An oversized watch pocket and deep front pockets with 7.25-ounce white pocketing provide plenty of handy storage, and the patented tape measure reinforcement on the right front pocket adds durability. The back pockets are reinforced at stress points and lined with 1000-Denier Cordura® fabric, a very tough, abrasion-resistant nylon, for long-lasting wear. Extra utility pockets and a utility loop round out the convenient carpenter-pant styling, making these shorts ideal for work. When the conditions are right for short pants on the job site, make sure you're wearing the right shorts for the job, these Wrangler Riggs Men's Vintage Indigo 3W320 VI Denim Carpenter Shorts. Buy yours today from the store that delivers brands that work, Working Person's Store! I'm a contractor and these are the only shorts that I'll wear in warm weather. Lots of pockets. Wrangler does not sell these on their website and they cannot tell me when, or if, they will make them available. Also, guys, these shorts are available as long pants, which is all I wear during the cooler months. Riggs is the best. Tough, rugged, well built, comfortable, and good looking. Can't beat these for the price. The best fitting jeans (Riggs) make the best shorts. I'm wearing these all the time. Wife reminds me that I have other shorts as well, but not as comfortable as these. Buy a pair!!!!! The Riggs Carpenter shorts 3W320 VI are made for hard work and comfortable every day wear -- with the added benefit of being smart phone compatible! The left side pliers pocket is perfect for carrying your smart phone; you never sit on your phone; it never falls out because the phone hooks under the top corner of the pocket; and it is always to answer whether standing or sitting. Wrangler Riggs Shorts: Men's Vintage Indigo 3W320 VI Denim Carpenter Shorts is being added to your cart.